I am always surprised to see how many aspiring entrepreneurs think they came up with something revolutionary, unique and really special. As an entrepreneur, you want to be confident in your idea but there is a huge difference between being confident and being delusional. Unfortunately, many of the new business owners I see are a little delusional. They are overly optimistic. 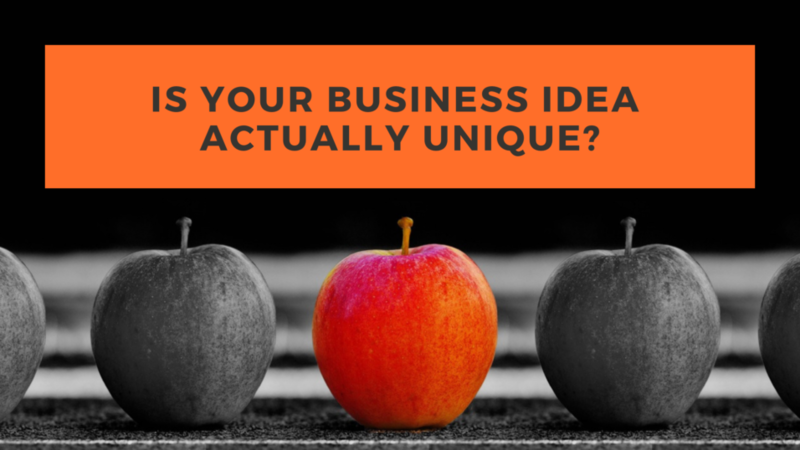 Does It Matter If Your Business Idea Is Unique? The biggest advantage of a unique business idea is that it stands out. It is different than the competition. Never assume that you do not have a competition though. This puts you in the delusional side. When people choose to buy something from you, they do so by dismissing something else. They buy from you as opposed to buying from someone else or SOMETHING ELSE. This is very important to realize before you even consider launching a business. If your idea was done before, can it be better? If your idea was not done before, can it be done? Can it be done profitably? Will people want to buy at the price that you can safely afford to offer the product/service? Basically, when your business idea is unique AND you present it properly (really important), you capture the attention of potential buyers. This is not enough to make a sale though. I have to use the word “unique” lightly here but the purpose of this example is to highlight a healthy way of looking at things. Some years ago, someone contacted me to launch a WordPress plugin that basically transformed your blog into an app. This was way before numerous such options ended up being developed. The idea was presented as being unique and the guy that contacted me basically put all his money into developing the app. After a really quick search, I found just 2 such plugins that changed WordPress sites into an app. I did tell the guy that there are already 2 on the market. They were not that good but it instantly destroyed the idea of being unique. He insisted to promote the system as something unique. People are not stupid and Google Search is pretty good at figuring out if there are alternatives available for something you want to launch or is already launched. Developers were randomly chosen, mainly based on price – This led to a really long development time. By the time the system was ready and the selling site was online, competition already became larger. The “If You Make It They Come” Attitude – This often happens. Because you launch something great, unique, you are tempted to think that you will instantly make sales. This does not happen without a good business plan. Really high launch prices – I remember that the cheapest membership available was something like $200 per month. As reference, Appresser is $19 per month. Do you think the business got clients? The partnership was already over way before the launch so I cannot be 100% sure but I seriously doubt it. Other problems can be highlighted but these were the ones that instantly stood out. Now, the end of the project was that the entire site and the coding were sold to the competition, most likely in an attempt to cut some losses. One of the most important things you have to do when you have a business idea is to start market research to then create a business plan. Your market research has to determine if your business idea is unique, how it is unique, what is different about it and should learn as much as possible about the target audience. Based on this market research you can find signs that the business idea is a good one. Solving a problem – You do not necessarily need something unique to solve a problem, as long as you do it better. Scalability – If the business is scalable, it is definitely a good one, in most cases. However, you might be comfortable with the maximum level that you can reach. Even so, scalability should actually be included in your business plan, right from the start. Sales can be made – When you create something, it takes money. You then need to sell what you create at a price that covers expenses and brings in a profit. If profit cannot be gained, the business idea is not good. For instance, if it costs you more to create the product than the competition, you most likely need to choose a selling price that is higher. This can limit sales. Can it be copied? – This is something most people do not think about. Let’s say you come up with a great, unique business idea but someone that has a larger budget can easily copy it and create something similar. If this is the case, your business might end up failing. It is something to think about. You need to be completely honest with yourself when you assess whether or not your business idea is unique. Then, if you DETERMINE that it is unique and you want to launch it, you have to see if it is viable. Only then should you actually start working hard to bring the idea to life. During the life of an entrepreneur, there are countless ideas that come up. Most of them are not good and not unique.